One of the most beloved authors in English literature, Jane Austen wrote myriad novels, stories and poems that illustrated her sophisticated sense of irony, humor and biting commentary on the society of Regency England. As the majority of her work was published anonymously, in the custom of female authors at the time, much of her notoriety came about posthumously. In addition to her published works, Austen kept avid personal correspondence with friends and family, particularly her sister, Cassandra. This collection of letters provides an invaluable glimpse into the author's life, which was spent primarily within a close-knit family circle making perceptive observations of human behavior and relationships. Pursuant to the themes of her novels, it is clear that Austen was unimpressed by pomposity and pretention and held a deep adoration for those she loved. 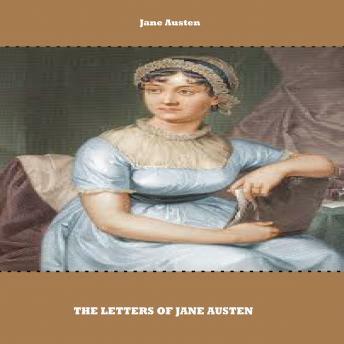 These letters, pervaded by her usual charming wit, will be a joy to read for any Jane Austen enthusiast.